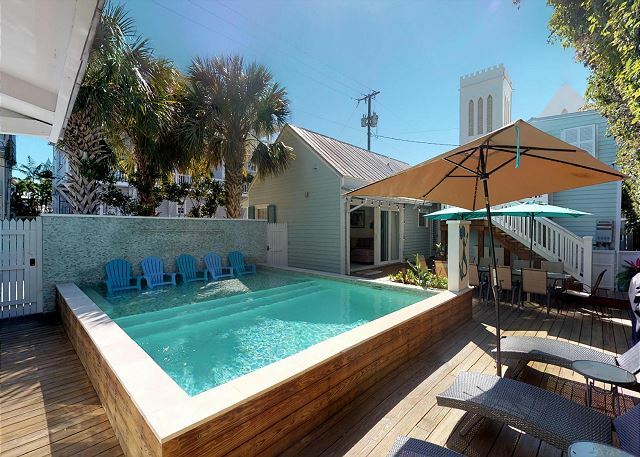 Snuggled halfway up our island's famous Duval Street and perched above the crowds is this fantastic 2 Bedroom 1 Bathroom condo aptly named, The Duval Roost. Located in the Truman Annex neighborhood of Old Town. This is a three story condominium so being able to climb stairs is a must. 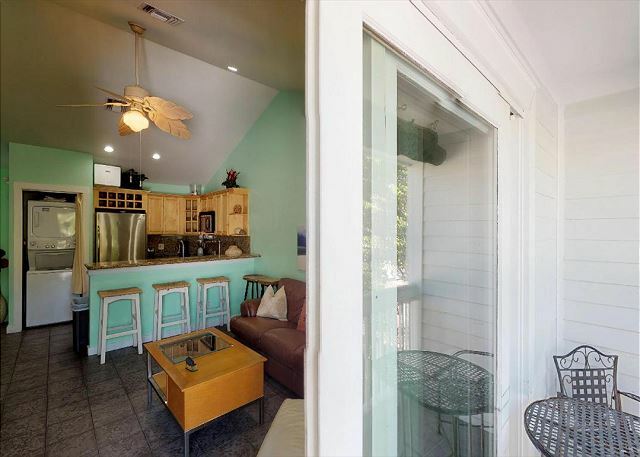 Pineapple Cottage is a two bedroom, two bathroom home with a private pool in Old Town Key West. 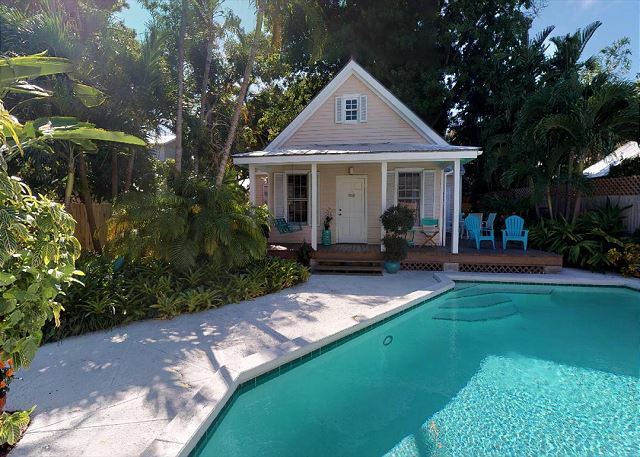 There is total privacy and charm throughout this island home and the proximity to all things Key West is unbeatable (one block from Duval Street). 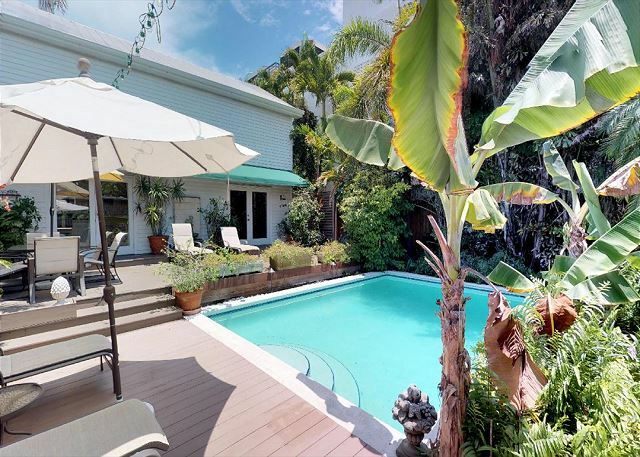 Check out this unique 5 Bedroom Key West Vacation Rental – Island Time- with separate entrances to each cottage. Private swimming pool and upscale accommodations! 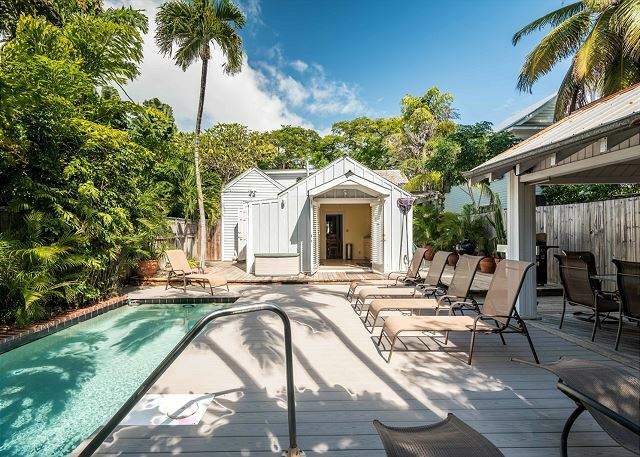 A fabulous Key West vacation awaits at this stunning Fleming Street conch house with private pool --Traditional Key West style. Two living rooms, a full kitchen, a second kitchenette and a tropical backyard oasis make this rental irresistibly luxurious. Jasmine Place is a beautiful and enchanting home conveniently located next door to the Ernest Hemingway Home and Museum and just across the street from the Key West Lighthouse. 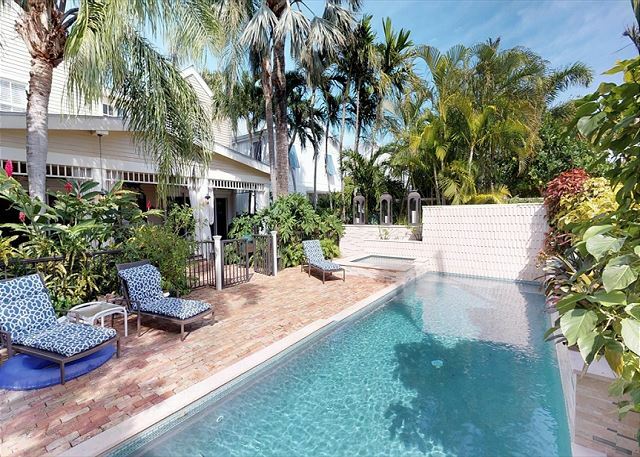 Beautiful 2 bedroom, 21/2 bath private pool home with Jacuzzi located in the Casa Marina section of Key West. A tranquil and secluded flourishing tropical oasis awaits you behind the private gated entrance at Elizabeth’s Secret. Pagitt House is a three bedroom, two bath historic home with a private pool, polished wood floors, beamed ceilings, and French doors are just a few of the features of this wonderful property. 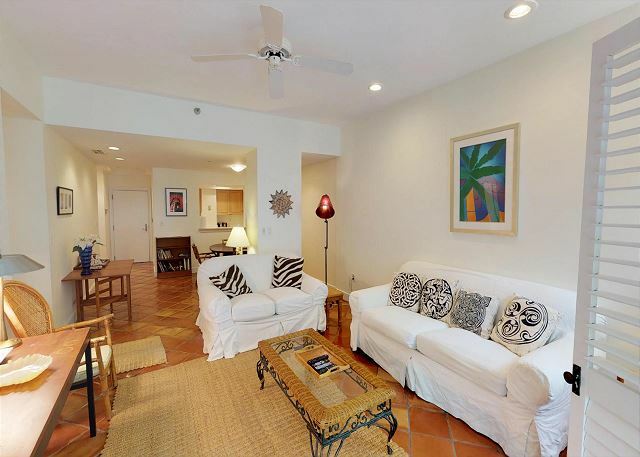 Harbor Place-A beautifully furnished 2BD/2BA condo that is right on the ocean with a shared pool.